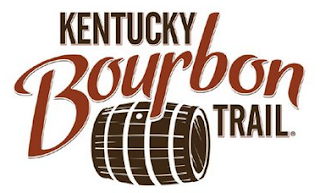 The Kentucky Distillers Association, has announced record breaking visitor numbers for the Kentucky Bourbon Trail in 2015. Setting an all-time attendance record of 900,000 guests last year, the world-famous Kentucky Bourbon Trail, which showcases nine of the state’s legendary distilleries, has now more than doubled its attendance in the last five years. Participating distilleries in the Kentucky Bourbon Trail include Bulleit’s Stitzel-Weller Distillery and the Evan Williams Bourbon Experience in Louisville; Wild Turkey in Lawrenceburg; Four Roses in Lawrenceburg and Cox’s Creek; Heaven Hill in Bardstown; Jim Beam in Clermont and Louisville; Maker’s Mark, Loretto; Town Branch, Lexington; and Woodford Reserve, Versailles. Bourbon tourists, on average, spend $1,000 on their visit, according to an economic impact study conducted by the University of Louisville. More than 85 percent are from outside Kentucky, the study found. They also stay longer and come in larger groups than typical tourists. In addition, Kentucky Distillers Association member distilleries are in the middle of a $1.3 billion building boom, with new innovative tourism centres and expanded production facilities being built to meet the growing global thirst and demand for Kentucky’s signature spirit.